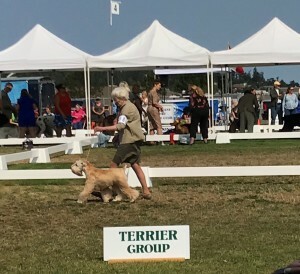 Doubloon’s The Wind Up (Dizzy) takes the breed at the Sequim shows. Here she is pictured in the group ring! Congratulations to Marshall and Ann Nelson! Dizzy’s father is our boy, Scout!